Facebook turned over 3,000 ads to Congress on Monday that the company says were purchased by a now-defunct troll farm with known Kremlin ties. In a blog post, Facebook said the ads reached as many as 10 million Americans and there could be more Russian-funded political ads it hasn’t discovered yet. Although the ads reached 10 million people, they were relatively cheap. Facebook says the troll farm spent about $100,000 in total, with about half of its ad buys costing less than $3. Some preliminary numbers offered by the company tell us that more than $1,000 was spent on 30 of the ads and that less than $3 was spent on about 1,500. Approximately 44 percent of the ads were seen prior to the 2016 US presidential election. 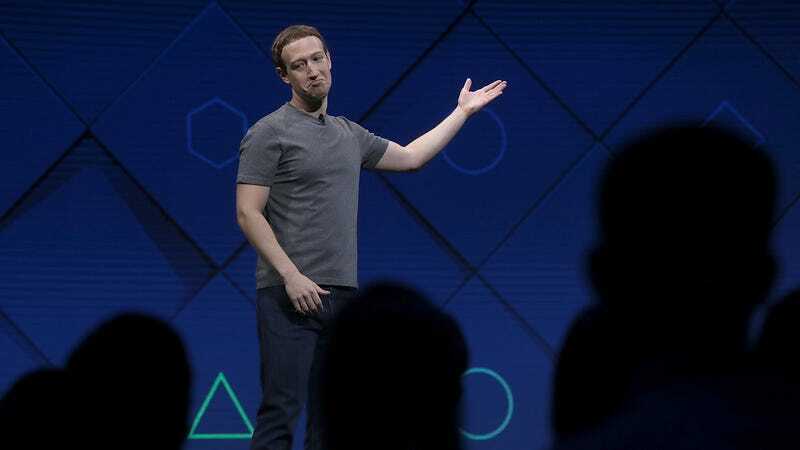 A quarter of the ads, which Gizmodo estimates to be about 750 ads, were not seen by anyone, Facebook said. It’s possible that the ads on which only a few dollars were spent were part of a strategy to probe for specific types of US voters. Presumably, when the trolls stumbled upon a target-rich topic, they would then pour additional resources into reaching those voters. But that’s merely a guess, since Facebook has yet to reveal anything about the types of voters targeted. What we’ve learned so far is that Facebook has linked these purchases to about 450 or so accounts that it says were controlled by a now-defunct outfit known as the Internet Research Agency (IRA). The IRA has known ties to the Kremlin, according to investigations by BuzzFeed and other independent Russian sources. The IRA reportedly went dark roughly two months after the presidential election. Of the 450 Facebook accounts, 22 had corresponding Twitter accounts, according to Twitter. As for what the ads contained, it’s not entirely clear. According to Facebook: “Most of the ads appear to focus on divisive social and political messages across the ideological spectrum, touching on topics from LGBT matters to race issues to immigration to gun rights.” According to the New York Times, the ads ranged from a Facebook page for gun-rights supporters to a “rainbow-hued page” for gay rights activists. One was simply dedicated to memes about puppies. Others appeared to focus on the racial issues, both promoting and attacking Black Lives Matter activists—the objective apparently to stoke fear in white communities. One such ad, according to the Washington Post, depicted a black woman “dry firing” a rifle. At least one of the pages under which the ads were purchased reportedly masqueraded as an American Muslim group that actually exists. Several of the ads claimed that then-candidate Hillary Clinton and Sen. John McCain of Arizona were directly responsible for founding the terrorist organization ISIS. Several promoted support for Hillary Clinton among Muslim women. Facebook, Twitter, and Google have come under intense scrutiny in the past two weeks by Democratic lawmakers involved in the government’s investigation of Russian interference in the 2016 election. Each of the tech companies has been called to appear before Congress to testify. Late last week, Twitter was criticized sharply by Sen. Mark Warner after a briefing that the senator found “deeply disappointing” and “inadequate on almost every level.” Warner accused Twitter of being overly reliant on Facebook’s investigation, only checking for links to the accounts already provided by Facebook without diving deeper to find out what, if any, role its own network might have otherwise had in the Kremlin’s propaganda efforts. Facebook in 2011 sought to be exempted from election laws that require disclaimers on political ads. The company argued that there was little difference between a Facebook ad and a bumper sticker and that, due to its size, it could not feasibly audit every ad before it was published.